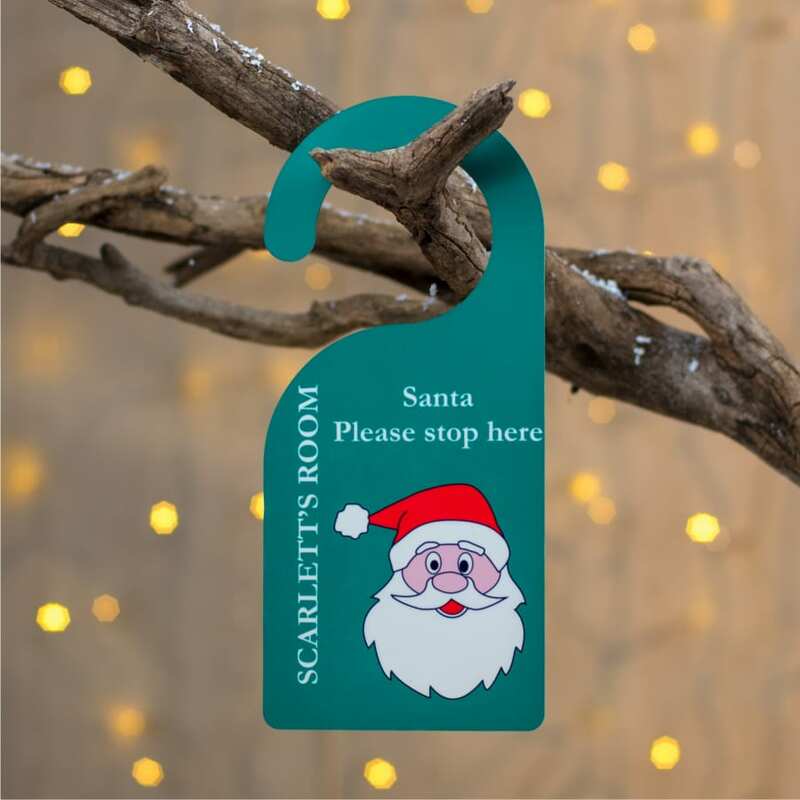 Make sure Father Christmas knows where your child’s bedroom is, by displaying this fantastic personalised door hanger on the door. Personalised with your child’s name. Please note that the words “room” and “Santa Stop Here” are fixed and will always appear. Available in a choice of stunning colours. Can be used year after year. Hang this gorgeous personalised Santa door hanger on your child's bedroom door on Christmas Eve. Great for re assuring children that the jolly fellow does know where he or she sleeps and where to delivery the presents to. Start a Christmas tradition by getting little ones to hang this colourful door hanger as the last thing they do before going to sleep on Christmas Eve. And the best part it can be used year after year ! Our personalised Santa door hanger measures 23 cm x 10.5cm and can be personalised with your child's name or nickname. Please note that the word "room" and "Santa stop here" are fixed and will always appear. Available in a choice of bright colours, after all Christmas is not just red and green. Printed on both sides. Has a high gloss finish and can be wiped clean with a damp cloth. Each door hanger is individually hand printed and usually dispatched within 3 days. Personalised Santa door hangers make wonderful gifts for the 1st Christmas of a child.